The post-twist New York and Long Island club scenes bred the (Young) Rascals, an outfit whose sound grew more sophisticated as time went on but stayed rooted in the blue-eyed soul that was its first reason for being. 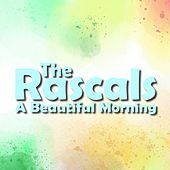 At first a hard-hitting band reminiscent of the early Animals, the Rascals drew from the same well that fed the then-burgeoning garage rock scene. Their first single, "I Ain't Gonna Eat Out My Heart Anymore," began with a fearsome rumble that opened out into a tough but subtle R&B performance. It wasn't a huge national hit, but the next one was. "Good Lovin'," a cover of an Olympics ("Western Movies") tune, became the first of three No. 1s for the group. "Groovin'" came after Top 20 hits with "You Better Run" and "I've Been Lonely Too Long," and spent an entire month at the top. Its softer sound also helped pick up a number of remakes, including one by fellow Atlantic recording star Aretha Franklin. 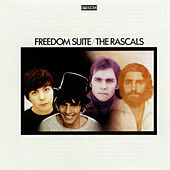 By now, of course, the Rascals were relying on their own material, mostly written by singers Felix Cavaliere and Eddie Brigati. They continued their run of hits with lush records, including "A Girl Like You," "How Can I Be Sure" and "A Beautiful Morning, and dropped the word "Young" from their name at this time. They went on to release the psychedelic-tinged "It's Wonderful" and their biggest 45, the gospel-influenced "People Got to Be Free." After that, singles seemed more of an afterthought; like tracks pulled from increasingly ambitious LPs rather than songs designed for maximum impact on their own. Brigati and guitarist Gene Cornish left in 1971, and the new lineup of Rascals packed it in the following year. Their great records -- featured on a number of excellent CD collections -- still ring out. The Rascals were inducted into the Rock and Roll Hall of Fame in 1997.